Uttar Pradesh Chief Minister Yogi Adityanath is likely to make a key announcement on the occasion of "Dev Deepawali"
Uttar Pradesh Deputy Chief Minister Keshav Prasad Maurya on Monday said a verdict on the Ram Janmabhoomi-Babri Masjid land dispute may be a prerogative of the Supreme Court but a grand temple for Lord Ram will be built. He also said installation of a grand statue of Lord Ram in Ayodhya should not be linked to construction of a Ram temple. 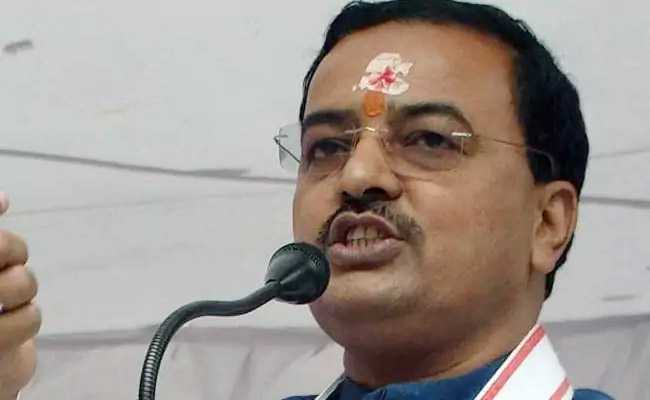 It will now be impossible to install a single stone bearing the name of Mughal emperor Babur, the BJP leader said, days after the Rashtriya Swayamsevak Sangh (RSS) declared it will not hesitate to launch an agitation for Ram temple at Ayodhya if needed. "I have clearly said time and again on the issue of construction of a temple in Ayodhya that whenever there is a verdict on Ayodhya, it is the prerogative of the Supreme Court. But a grand temple for Ram Lalla will be built," Mr Maurya told PTI. "Now, it is simply impossible to install even a single stone bearing the name of Babur there," he added. Stating that neither the petitioner nor the government can do anything in a matter pending before the court, Mr Maurya said the installation of a grand statue of Lord Ram in Ayodhya should not be linked to construction of a Ram temple. He was referring to Ayodhya Mayor Rishikesh Upadhyay statement last week that there is a proposal to install a 151-metre-tall statue of Lord Ram on the banks of the Saryu river in the town. Uttar Pradesh Chief Minister Yogi Adityanath is likely to make an announcement on this on the occasion of "Dev Deepawali", the mayor said. In Mr Maurya's view, the matter should be seen as one linked to the development of Ayodhya. He said building Lord Ram's statue and the Ram Temple movement are two different issues. "We feel Ayodhya should be developed, and every devotee of Lord Ram also feels the same. In the past 15 years, there has been no development of Ayodhya. After our government was formed, the development of Ayodhya started. Ayodhya will be developed keeping in mind the devotion and faith which Ayodhya Naath (Lord Ram) commands," he said. Hitting out at previous governments, the deputy chief minister said the government has worked to revive things related to the life of Lord Ram such as the Saryu 'aarti' and the Deepotsav, which had led to a continuous flow of people from different parts of India and the world into the town. In a broadside against Rahul Gandhi, he said people of the country are questioning the 'janeudhari' (sacred Brahmanical thread) national president of the Congress and are seeking answers. "On the one hand, he visits various temples only to mislead the people and, on the other, senior leaders of his party urge the Supreme Court not to hear the case until 2019. He must explain his intention behind this," Mr Maurya said.